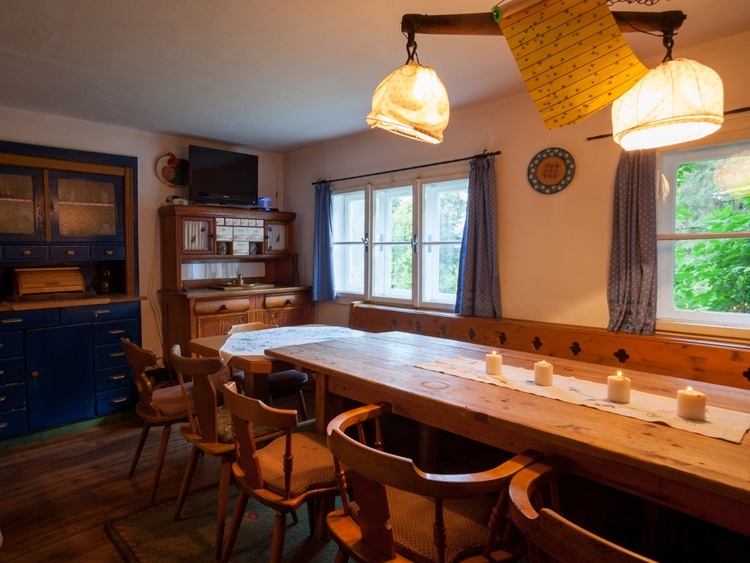 Our hut Katharina is a rustic and romantic farmhouse from the 19th century which still retains its charm of the last centuries. Nonetheless, the lodge has of course been adapted and modernized to meet the comfort standards of today. 5732, Europe, Austria, Salzburg, Pinzgau-Pongau ,Mühlbach im Pinzgau. The house is divided into two floors: 5 bedrooms, 2 showers and 2 separate toilets. In the 180 sqm ground floor is the entrance, a small terrace with sitting area, the kitchen with large sitting area with satellite TV, WiFi Internet, Grandma's old wood stove, an electric stove with four plates, a dishwasher, two refrigerators with freezer, a coffee maker and all necessary kitchen utensils. On the ground floor there is also a double bedroom and another bedroom with double bed and two sofas and a fold-out mattress. 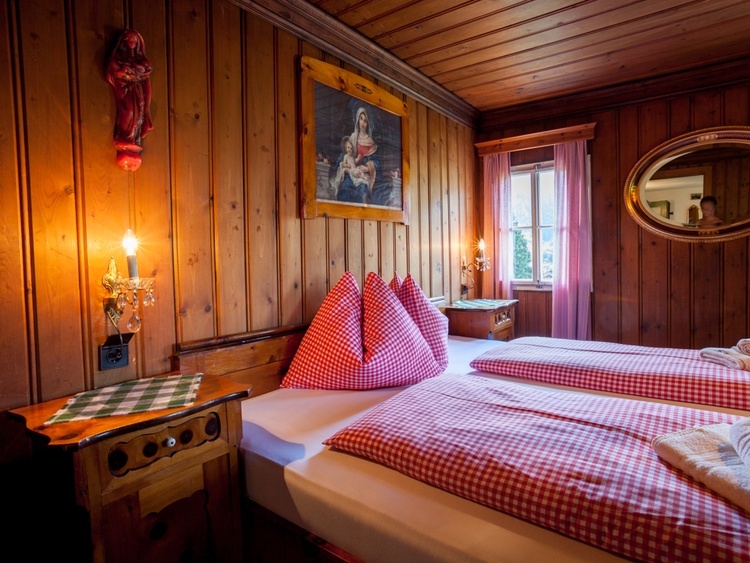 Also available are an extra room for smokers with another four seats, a separate toilet and a ski storage in the woodshed. 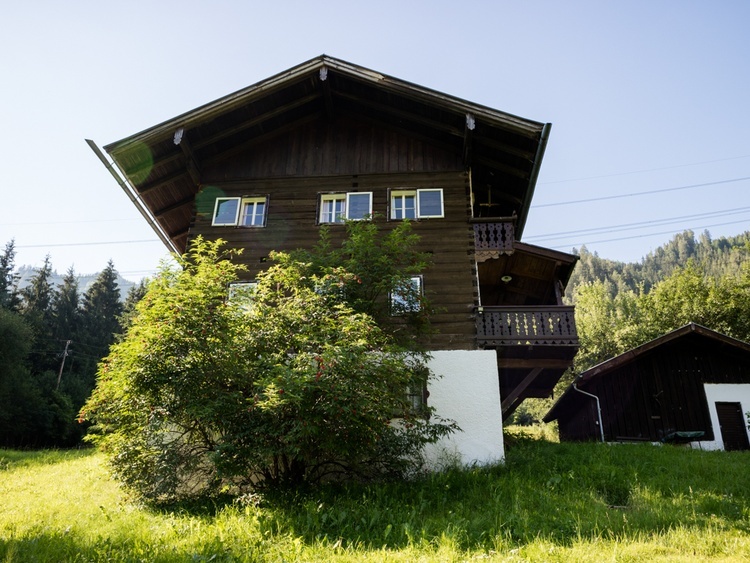 The first floor has a total of three bedrooms (three triples with wardrobes), two showers and a washbasin in the hallway, which is delimited by a wall and a curtain, a separate toilet and a balcony overlooking the valley. 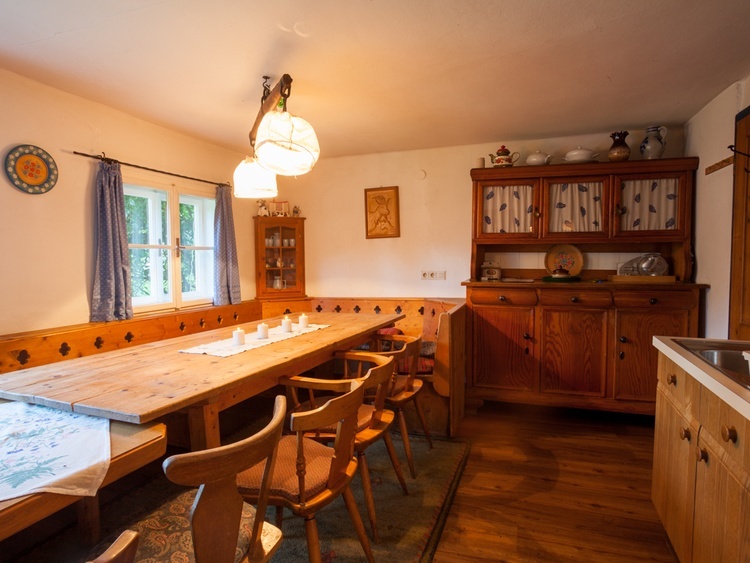 It is located in a secluded location on a 2-acre property, located on a hillside, surrounded by fruit trees and a unique view of the valley and the village Mühlbach. Both in winter and in summer, you can optimally use the property and the garden for a variety of activities. In winter you can just sledge down the hillside, as there are enough toboggans available for free. 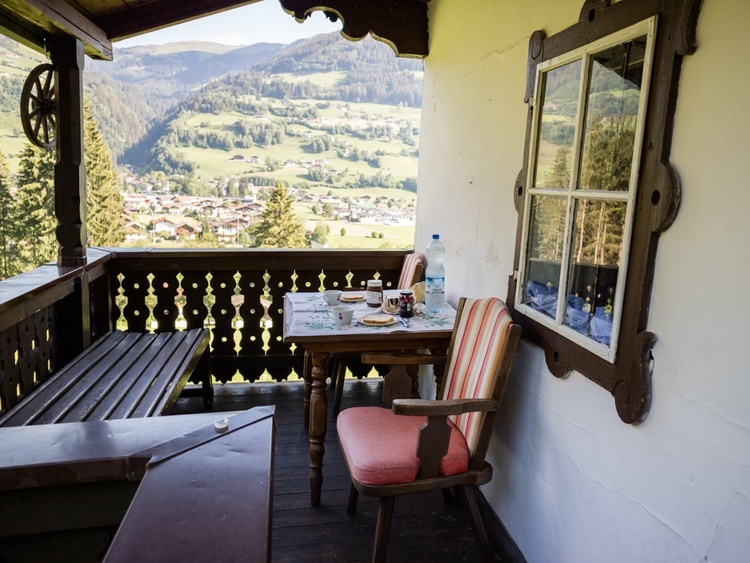 In summer you can enjoy the magnificent view and relax in the warm sun or organize a barbecue evening at the fireplace. 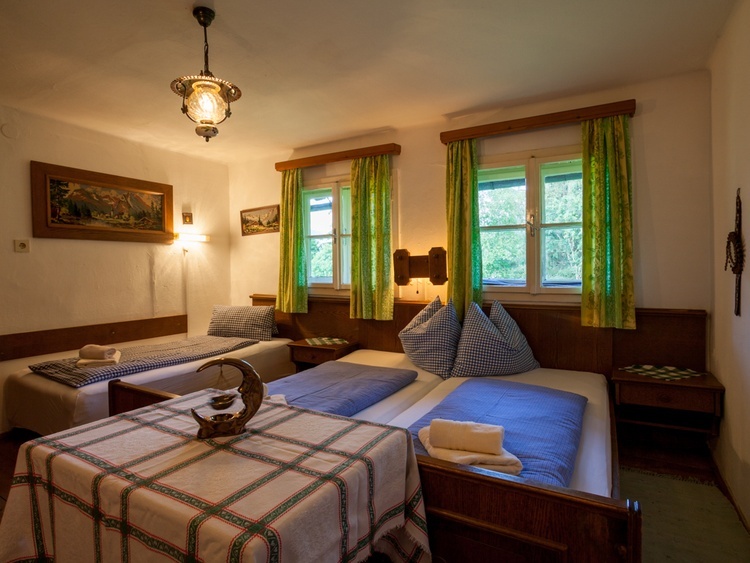 Sufficient garden furniture is available and below the property is the river Salzbach, along this leads you a beautiful kilometer-long bike path on discovery tour. The journey by car is easily possible in the summer to the house, in winter, the way to the house also cleared, but you need snow chains and four-wheel drive to the house. Otherwise there is parking to about 250 meters in front of the house. Our Almhütte Katharina alpine hut in Mühlbach im Pinzgau is only 500 meters away from the ski bus / skibus and from the next inn. The next town is Mühlbach im Pinzgau in about 2 km. Bramberg am Wildkogel (approx. 2.5 km) and Neukirchen am Grossvenediger are part of the Wildkogel-Arena ski area, which stretches between the Hohe Tauern National Park and the Kitzbühel Alps. Probably the longest illuminated toboggan run in the world in Neukirchen is about 7 km away. 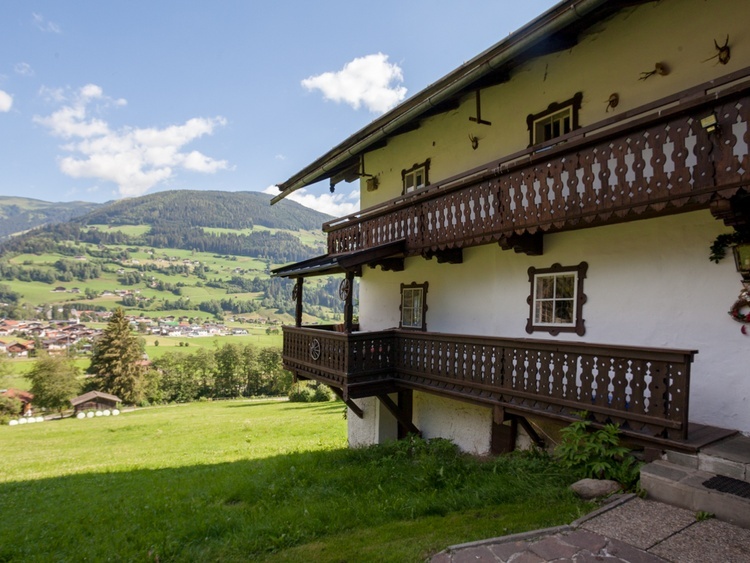 The winter and summer sports resort Hollersbach im Pinzgau (4.6 km from the alpine hut) in the Hollersbachtal is also part of the Hohe Tauern National Park and has the nickname "flourishing village", as over 700 different plant species and medicinal herbs are grown here. Here, the 8-seater gondola allows a comfortable entry into the Kitzbühel Alps with an incomparable view of the Hohe Tauern and the entire Salzach Valley. The world-famous ski area of ​​the Kitzbühel Alps has 179 kilometers of pistes, 55 lifts from Hollersbach to the world-famous Kitzbühler Streif up to Kirchberg, 200 km of cross-country trails, Quality Snowpark and much more. 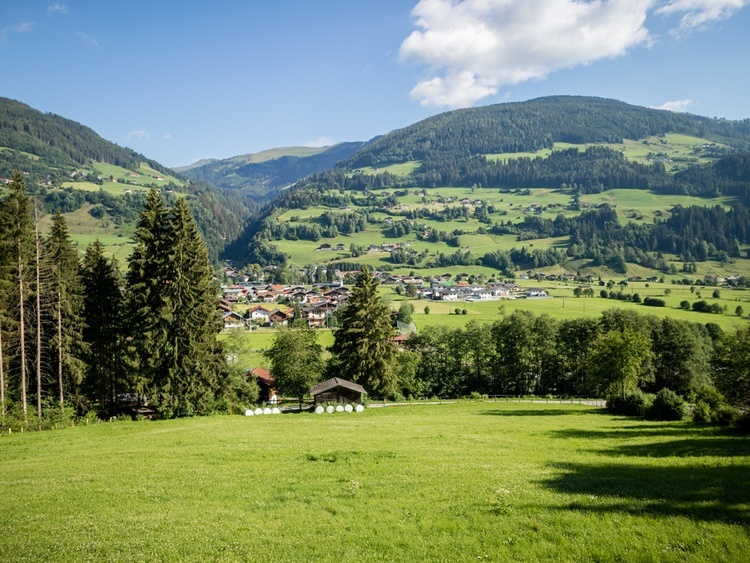 In summer Hollersbach and Mittersill in about 9 km are the ideal starting point for excursions into the varied landscape of the Oberpinzgau. The Panoramabahn runs in summer in the Kitzbühel Alps. 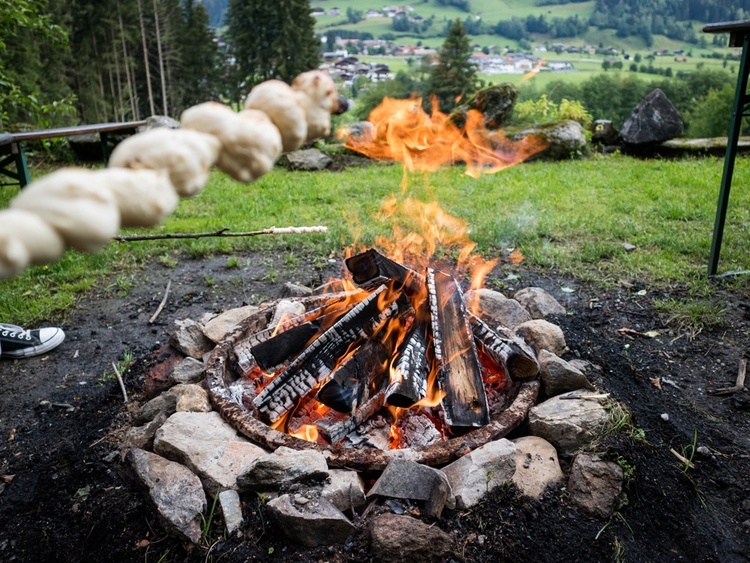 Enjoy the summer days at the Naturbadesse with an adventure playground in Hollersbach or in the outdoor pools in Mühlbach and Mittersill. Pure adventure you can experience while rafting or canyoning on Wildkogel or exploring the mountains by mountain bike. 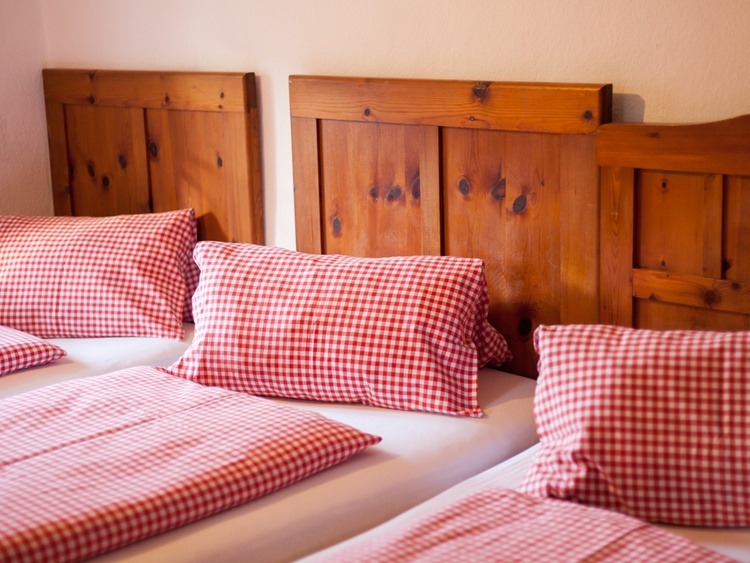 About 13 km away is the Kristallbad Wald-Königsleiten with indoor and outdoor area, sauna and wellness, which is ideal for relaxing. 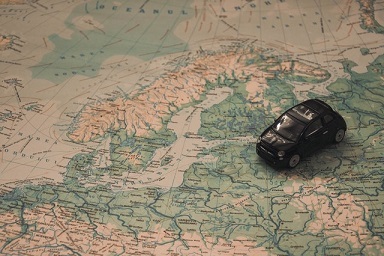 So stop by and enjoy an incredibly adventurous vacation that you will never forget!